Work for Angular Js Development Services? Learning about Angular Js Development Services? "Angular Js development Services and its framework now days father of front end responsive software." it provides create single page application with clean template.it provides reusable components and its give very much clear design and responsive template .Writing code is very much easy to write .it is structural framework when we need to change in code it is very easy to change. Angular js gives very much confusion to write code and very much difficult its framework for first time. It is very much pretty framework to create design and UI for web development or mobile application development . * We monitor all Angular Js Development Services reviews to prevent fraudulent reviews and keep review quality high. We do not post reviews by company employees or direct competitors. Validated reviews require the user to submit a screenshot of the product containing their user ID, in order to verify a user is an actual user of the product. Hi there! 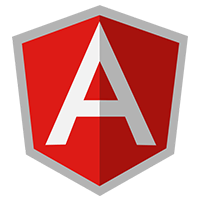 Are you looking to implement a solution like Angular Js Development Services?